Today's the day! 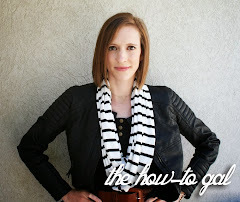 The anniversary of my very first post here at The How-To Gal exactly four years ago. I started the blog as a hobby to keep me busy after baby number one. Since then, baby number two made his entrance, I started a new job, we sold our townhome, bought a new house and the blog is still here and kickin'. That is in HUGE part to you, the faithful readers who have stuck with me even after months of radio silence. Thanks for sticking with me! To thank all of you and to celebrate the special occasion, this week will be one long week of giveaways! The theme for the week is "The How-To Gal's Favorite Things" and I had to start out with one of my most favorite websites for printable art, Caravan Shoppe. 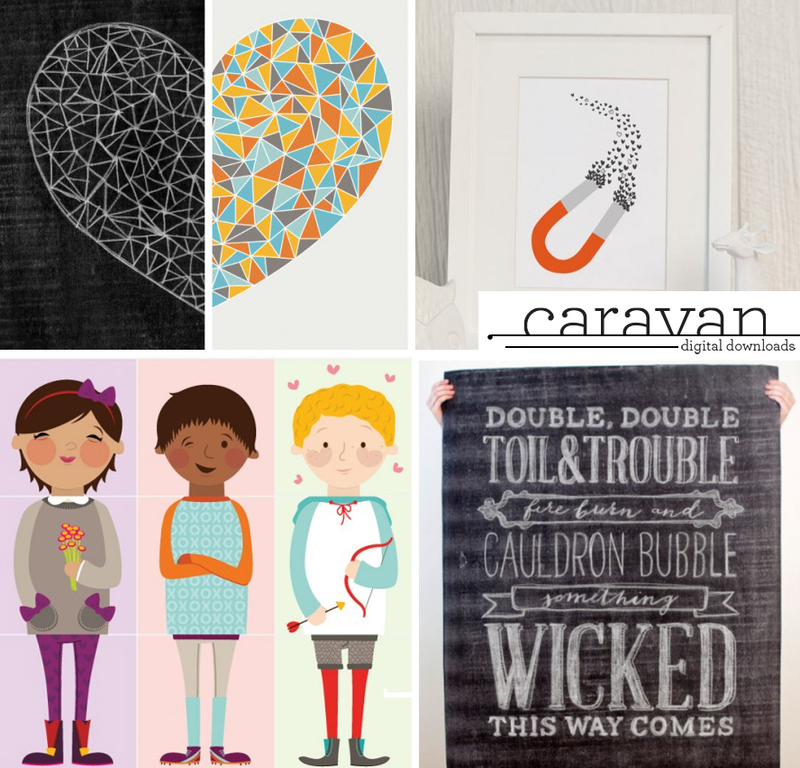 Caravan Shoppe is full of original printables that are not only fun, but affordable. 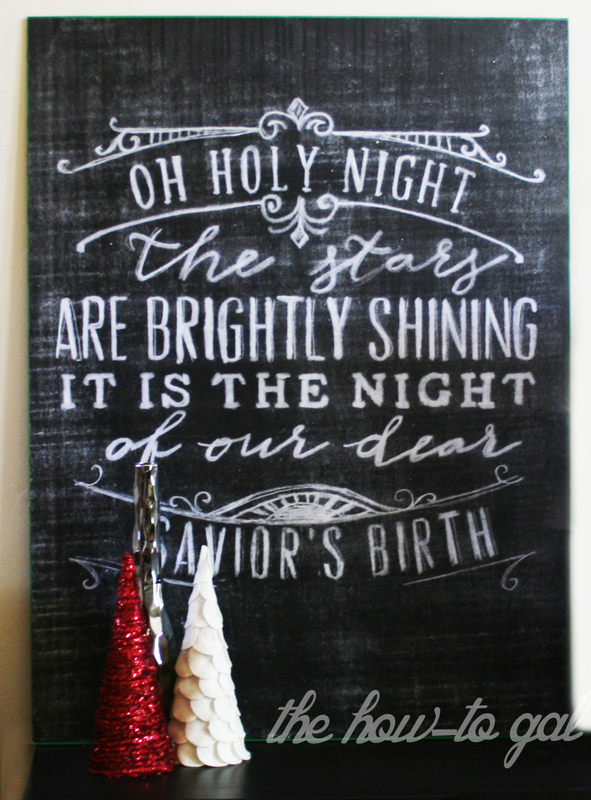 Remember my Christmas decor this year? They have prints for home decor, toys and organization. The lovely folks at Caravan Shoppe have teamed up to celebrate with us and are giving away a $20 giftcard to one lucky winner! Want that winner to be you? Enter below! The winner will be announced at the end of the week, March 23rd. Check back each day for a different giveaway! Your holiday gift guides are totally fab! So many to choose from, but I think one I especially loved was your maxi-skirt tutorial. The toilet paper roll art! It totally inspired me to make my own. 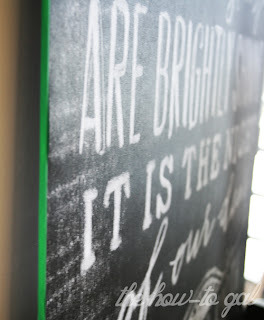 I actually really love your plank wall in the basement! 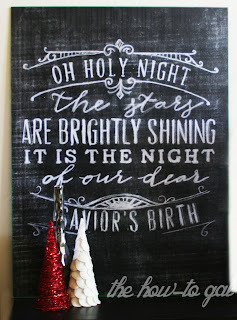 It is so pretty and I am dying to do this in our home (whenever we get our own). I just can't stop drooling over it! My favourite is the lace shirt. It's amazing how time flies and so much happens during that time, isn't it!? Love this giveaway! I haven't done it yet, but I was inspired by many of the furniture fix-ups and so I'm looking forward to "fixing up" 2 end tables we inherited from in-laws when we got married 7 months ago. I also REALLY loved the card table and chairs idea! It is SO FUN re-purposing useful things. Thanks for your inspiration and know-how! The pillow mat is awesome. My kids love it. Thanks! All the before and after projects. I loved the kitchen table you did!